Table Tennis is enjoyed worldwide by people of all ages and skill levels, and Cornilleau table tennis tables suit every level of play. With over 35 years of experience, Cornilleau is the world leader in table tennis tables. 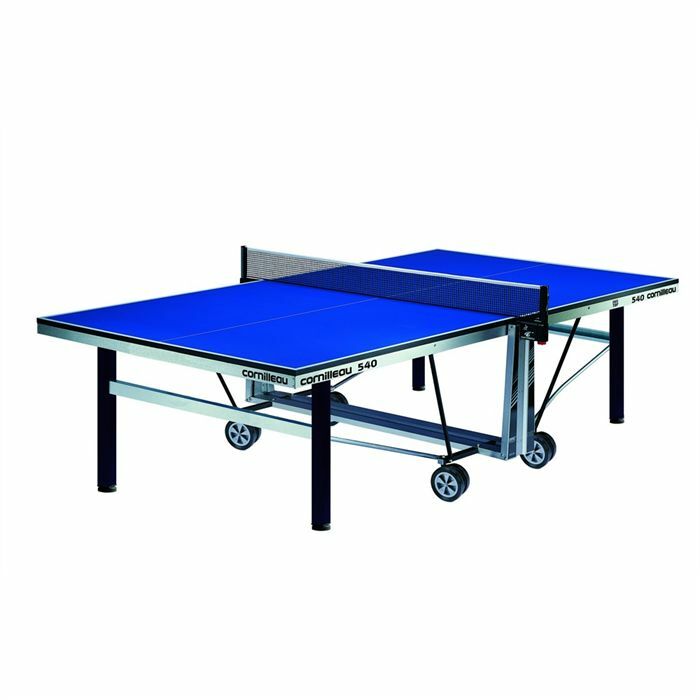 The special attention paid to safety, quality of play, and the modern design are the elements that define these tables and make them superior to other table tennis tables. Every day, Cornilleau engineers strive to improve the Compact Technology® Folding System and the new DSI¨ Safety System even more, in order to further reduce the risk of tilting or accidents, such as the possibility of getting in between the panels when the table is folded. The MATTOP coating enhances the quality of play. The mat finish ensures better grasp for the ball, and, implicitly, a better spin. The MATTOP also has an anti-glare layer, which prevents light from being reflected by the tabletop and improves the playing experience. The 5-layer treatment offers the Cornilleau tables a strong, high-quality, long-lasting top. Cornilleau manufactures both indoor and outdoor table tennis tables. The outdoor models are created with weather resistant materials and, thus, can be left outside without any risk of degradation. The indoor models are designed for heated and dry, insulated rooms and are not as durable, but have a compact design that makes it possible to store them in tight spaces. Approved by the ITTF, Cornilleau table tennis tables are among the most sought after products in their category worldwide, buyers often enriching their collections with blades, nets and balls produced by the same manufacturer, and leaving astonishing reviews, real testimonies to what quality and professionalism are all about.